My dear friend, @lotusfleur, challenged me to the scorpion pose, and this was my measly attempt at an extremely difficult pose. It was my first time attempting the scorpion, so I’d say it’s only up from here. It wasn’t so much the balance that was the issue, but rather the bending of the back. 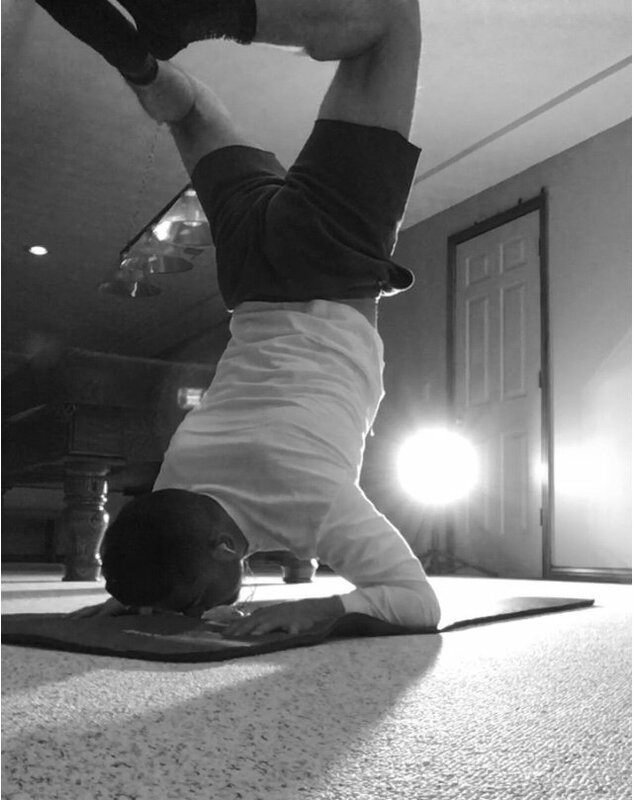 My lower back was the limiting factor inhibiting my full potential from reaching the legs closer toward the head. If I continue to practice with mobility and routine stretching, I can see myself drastically improving in the coming months. You do it really good! What you think of hanumanasana? Much respect, my dear !! Wow, conradsupberb, I admire your drive and energy with yoga. Will be amazing to see the progress as you aspire to achieving that goal! Always keeping us steemians up-to-date ! Thank you @steemitboard ! !